The Millennial generation (age 18-34) have been relatively slow when entering into home ownership. Due to high unemployment, tight credit, and student loan debts, they delayed their interest in homeownership, but that does not mean that they will never buy. Millennials represent 34% of home buyers. Only 24% have owned a home before buying. 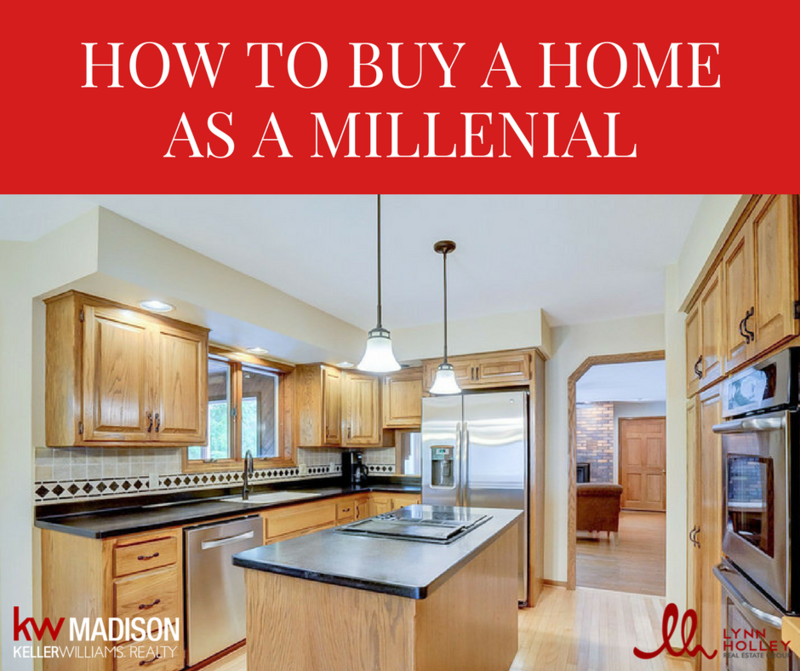 The dream of owning a home isn't dead, but rather millennials are approaching the concept in a different way. With low interest rates, millennials still see the value in investing in property rather than renting. First time homebuyers are so important to the housing market. They are the reason that new construction and upgrades pay off from the seller's perspective. First and foremost, you need to know where you are financially. Mortgage, property taxes, and insurance payments should not surpass 28% of your monthly income. Lenders look out for this as well along with your student loan debt, credit cards, and credit score. Don't forget to factor in taxes, insurance, closing costs etc. There are many expenses that can make a house within your budget quickly cross the line. It is important to be prepared as a buyer. Make sure you have all the documents you need in order to get pre-approved. Your realtor can help and answer any questions along the way. 3. Don't underestimate the power of the down payment. Your down payment ultimately determines the most important terms of your mortgage, the duration, the interest rate, and the monthly rate. This amount ranges drastically from 3% to 20%. The more you can put down, the better. There are many loan programs to explore for any financial situation. Find out about the different types of loan programs HERE. It is important to understand the market you are shopping in and where you are going to be happiest. The best way to learn about a new area is through an agent with experience. Shopping online is efficient, but often times if it is a hot market, online info may be behind. Having a realtor on your side gives you someone on the inside keeping an eye out for you. Just like you would research the home, you should also research the neighborhood. Find out what school your kids will be attending and if there are any neighborhood restrictions in place.